Have Your Party With Us OR We Can Come To You! 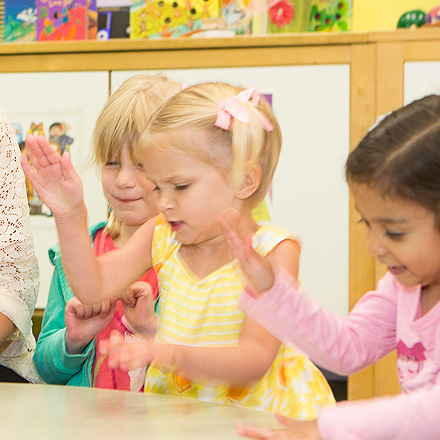 At your home, at the park, wherever your little one's special celebration will be - Nightingale Music can be there too! 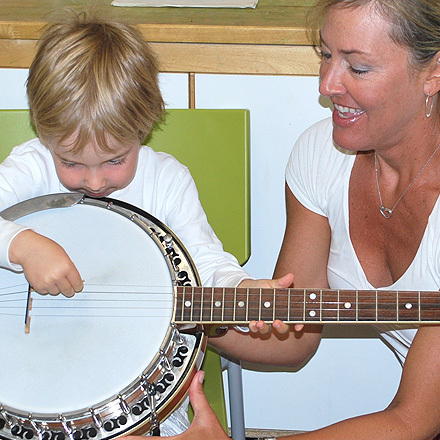 An enthusiastic Nightingale Music Instructor will present a 45 minute program of interactive singing, dancing, and instrument playing. Rhythm instruments, puppets, parachute, streamers, bubbles, giant drums, guitar and so much more are in store... all to make you little one's birthday exciting, unique and fun! 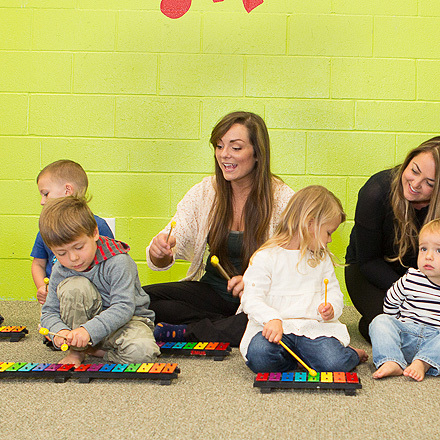 A small music gift for each child present is included. Add this unique musical treat to top off your celebration by giving your own take-home musical ``goodie`` bags. Each bag includes a colorful maraca, a pair of Basic Beat rhythm sticks, a brightly colored scarf, and bubbles. Bring the party to Nightingale Music in La Jolla! 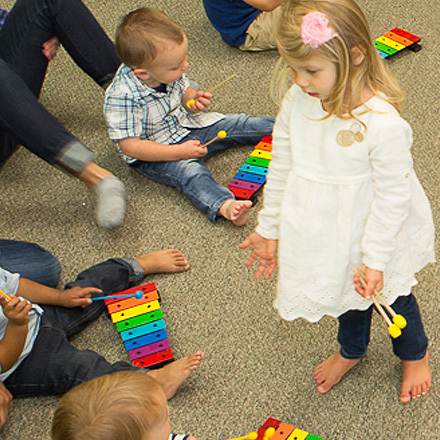 A 1 1/2 hour party at Nightingale Music Studio in will include 2 highly-gifted instructors, interactive music fun including rhythm instruments, puppets, parachute, streamers, bubbles, giant drums, guitar and a small departing music gift! Bring your own food, drinks and cake. We handle everything from setup to cleanup! (balloons, birthday sign, plates, plastic cutlery, napkins and table cloths are provided).